This entry was posted on September 23, 2010 at 5:55 AM	and is filed under Side Dishes, Vegetables, Vegetarian. 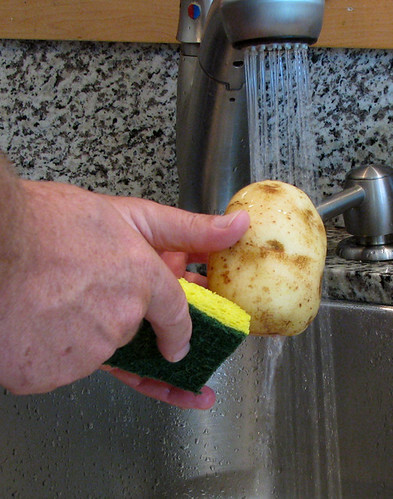 Tagged: chips, cooking, food, olive oil, oven baked, potato, potatoes. You can follow any responses to this entry through the RSS 2.0 feed. You can leave a response, or trackback from your own site. I’ll tell ya, Drick, if you get them crispy, you really can’t tell the difference from the fried ones. 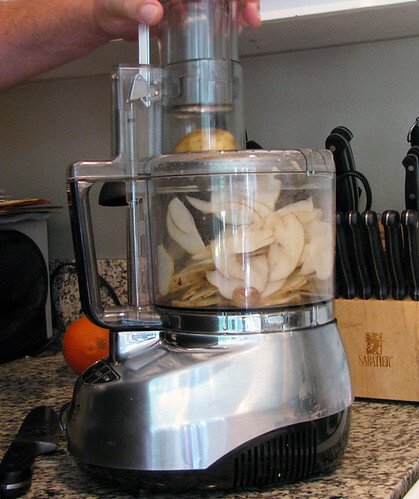 Chips are my all time favorite- loved this way of making chips! Yum! 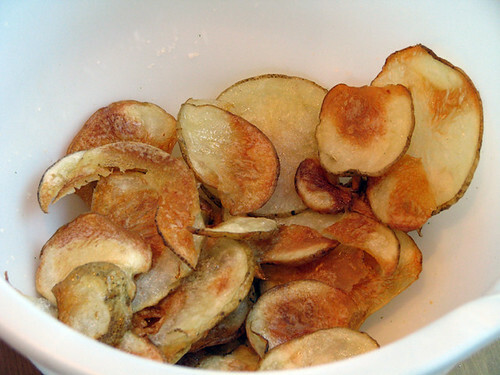 I love homemade potato chips. Yours look fabulous. another recipe which has me needing a bib from salivating!!! These look great. Could you please pass over a few? 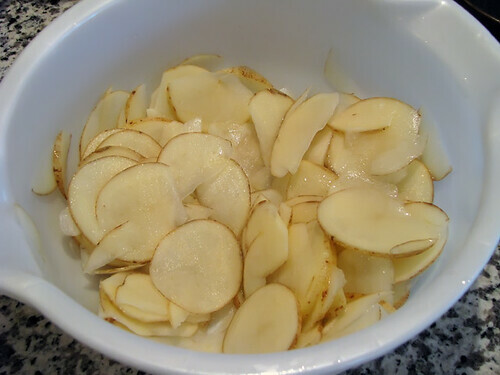 I do roasted diced potatoes all the time, but never thought about doing potato chips in the oven. I have to try these. The possibilities of what you could sprinkle on top of these is endless. 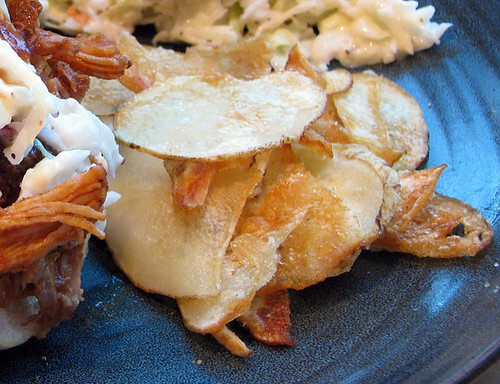 I have a feeling these would be a hit in our house, not to mention what a healthy version over fried chips. Pam, I should warn you … these are very addicting! As usual fantastic pictures, and the chips? Nice! Thank you so much, Momma Rim! Thank you for sharing and congrats on the top 9!! Wow! Thanks, Cindy!! Didn’t even realize it had made a Top 9!!! Delicious crispy goodness. Thanks for sharing! Your welcome, Jenny! And, thank you!! i love homemade chips. they’re way better than store-bought stuff. these look awesome! Yeah, better tasting and healthier with the skin on. 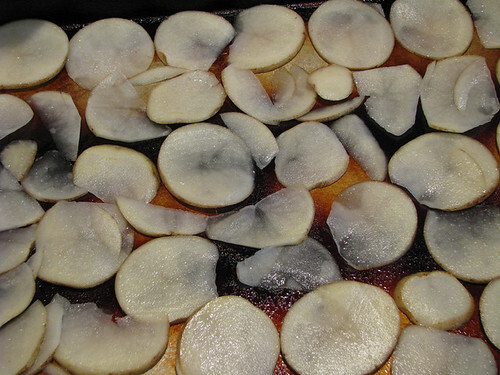 Which level should the tray/rack of potato slices be put on in the oven? and thank you for sharing! Hey Clara, Anywhere from the middle up is fine. The key is trying tog et them to cook evenly. I even spin the tray around 180° about halfway through to try achieving that. Cave Chips – love the name! Chips looks great. I’m going to have to try this out. Thanks for sharing. No prob, Linda! Let us know how it turns out when you make ’em. Thanks for stopping by! Never saw these before and they look fab-u-lous cuz. Thanks, Vendela! They are goooooooood!! You should give ’em a try.